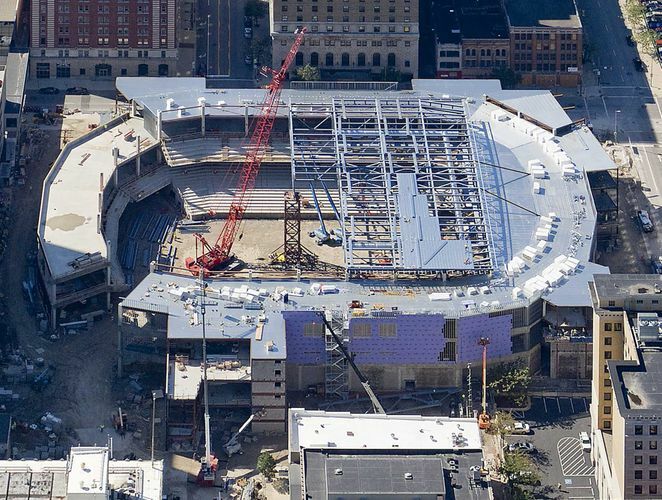 The Lucas County Arena is a long awaited, much anticipated, state of the art facility. 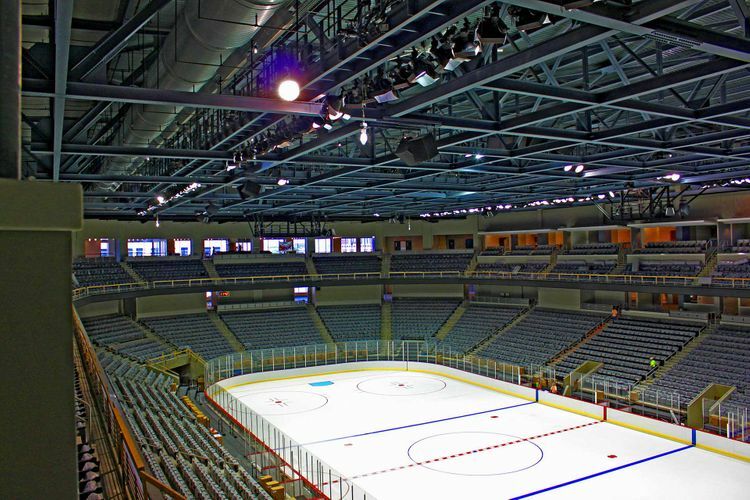 The arena will once again bring the much loved sport of hockey to the ice hungry city of Toledo by housing the Toledo Walleyes, a minor league hockey team. Season ticket sales are booming and anxious fans able to tour the facility are impressed with the modern appearance, as well as the family-friendly accommodations. The 7,500 seat arena boasts twenty private suites and three rental suites on the club level, a total of twenty-five restrooms, and ten concession and three souvenir stands scattered throughout the main concourse. The facility is based on an open concourse plan where there is not a bad seat in the house, including concessions. From a construction concept, the mere vastness of such a facility requires creativity in construction techniques. From the start, scaffold creation and maneuverability was a challenge. Tube and clamp scaffolds and the utilization of beams as tie-off points helped solve many of these issues and all work was done safely – without incident or even a near-miss. The modern, state of the art atmosphere of the arena is partially created by the use of many specialty items. Those include drywall reveals in all of the suites, intricate column covers, and acoustical clouds suspended throughout the concourse using axiom and stretch ceiling materials alternated with acoustical ceiling tile. 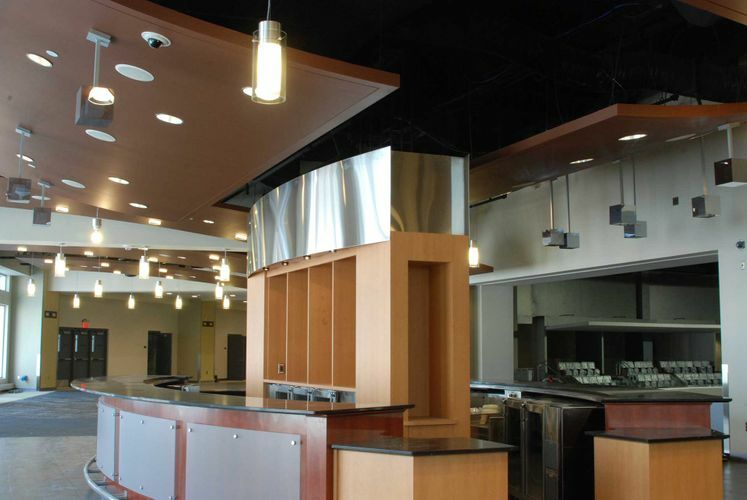 There is also an extensive amount of soffit variety, combining various dimensions, angles and altering ceiling heights. Keeping an efficient amount of manpower on hand to meet the demanding schedule and handle last minute design changes is second nature to OCP. Field adaptations were made with minimal disruption to workflow. Overall, the success of this project can be attributed to great design, disciplined project management, innovative/efficient field work, and excellent craftsmanship.